Passeiertal — ..:: COMUNIS ::..
Industrial and manufacturing activities vs. tourism and recreation activities. Measures for effective location marketing. Of particular interest to EURAC and for the pilot area Passeiertal is to observe and exchange/receive information on the further development and implementation of structures in both Austrian pilot regions Großes Walsertal and Leiblachtal, in the German pilot area Südliches Oberallgäu, and the Swiss pilot municipality/municipalities engaged in Industrial Ecology. 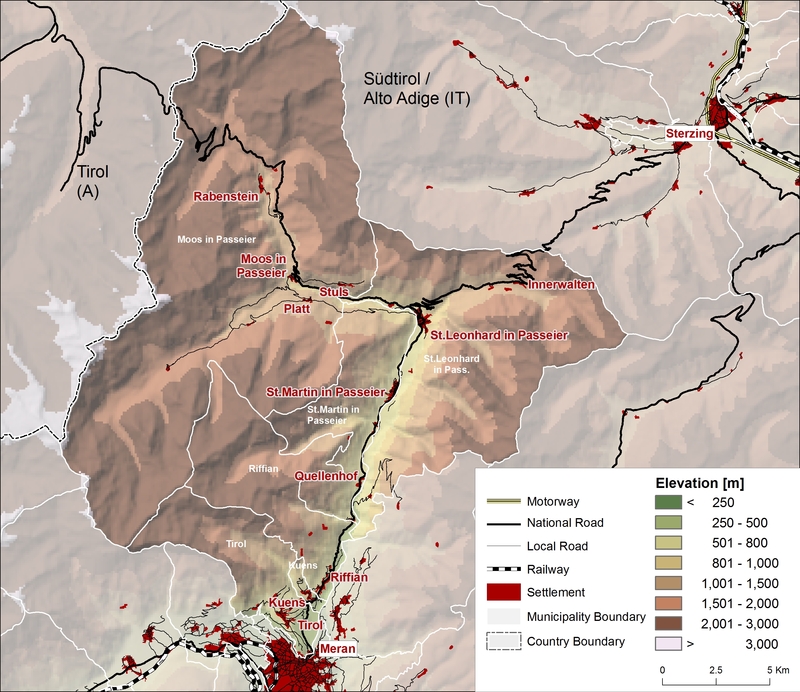 Within South Tyrol, tandems with other valleys or municipalities are mainly informal (i.e. mutual exchange is not formalized but public and private stakeholders meet at various occasions such as open workshops, public events or council meetings). Tandems should be encouraged with valleys/municipalities in fields which are of interest to the Passeiertal, such as the processing of wood and the valorization of the wood sector including measures for extending the local value chain wood to attain a higher processing degree (e.g. biomass (fuel-wood) as a raw material for renewable energy).